These three soon-to-be-published books caught my attention this week, and it happens two of them are by Canadian authors: one a short story collection set in cities along the U.S. Canadian border, the other a novel set in Newfoundland. 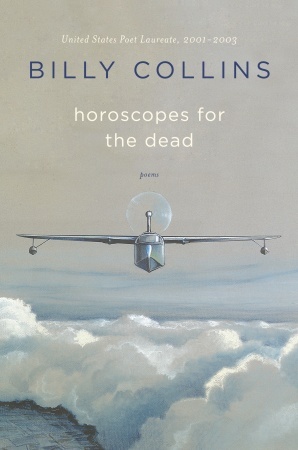 The third is a new collection by Billy Collins, the ever enjoyable and loved-by-the-public former U.S. Poet Laureate. 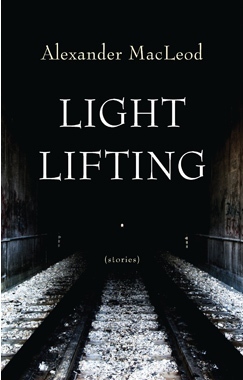 His accessible and typically upside lyrics take on the dark topic of death in his new book of poems. What’s that going to be like? Light Lifting by Alexander MacLeod. It’s not often I stand in the kitchen reading a book that just arrived in the mail. I may read the first sentence or skim the jacket copy but not stand like I did one day this past week, leaning against the counter for a long read. This book snatched my exclusive attention that quickly. MacLeod’s narrative voice speaks with a seductive mix of conviction and vulnerability as it takes us inside the lives of its everyday people, such as two runners who’ve been competing together for a long time and a group of bricklayers mentoring a high school kid on a summer job. MacLeod is a delightful discovery for me, published by indie press Biblioasis in Emeryville, Ontario. His debut will be available in the U.S. this April. Galore by Michael Crummey. Crummey takes a mythic viewpoint of his native Newfoundland in this story that spans two centuries. Publisher’s Weekly gives the novel a starred review and calls it Crummey’s “gorgeous latest” – his previous novel River Thieves also is set in Newfoundland. From the publisher’s website: “When a whale beaches itself on the shore of the remote coastal town of Paradise Deep, the last thing any of the townspeople expect to find inside it is a man, silent and reeking of fish, but remarkably alive. The discovery of this mysterious person, soon christened Judah, sets the town scrambling for answers as its most prominent citizens weigh in on whether he is man or beast, blessing or curse, miracle or demon.” On sale by U.S. publisher Other Press in April. along with the box scores, the weather, and all the bad news. will not be a wildly romantic time for you . . .
As always, thanks for the recommendations. Love Billy Collins. Is there any special significance of a “starred review”? Library Journal, Publishers Weekly and Kirkus all have starred reviews to indicate the upcoming book is a top pick, that among the many books they review, it’s a standout to keep an eye on above the others. Certainly, it’s their opinions — I’m reading a novel right now that Publishers Weekly and Library Journal starred but not so Kirkus — but it tends to be a good indicator. Funny, to us, YOU at TLC are our “Starred Reviewer”!